This book is a story told by Joe Soper just like he was sitting in your living room just talking to you. The story is packed with lots of human interest while telling many details of slide rule production at the Salisbury plant. There is something for everybody. 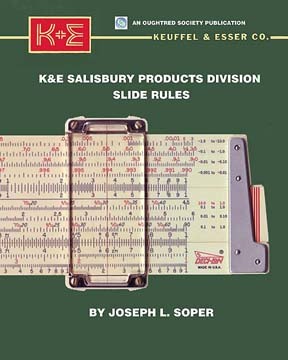 How plastic slide rules were made by K&E is the main theme but along the way there are many details about how the scales were laid out, how the molding masters were made and many production details. The bizarre story about the Analon is finally told by someone that was there. How K&E managed the design project of a new major slide rule is told. There are K&E history details not told before. There are 102 photos in the 145 pages of this book.